Let us introduce you to lavish leisure! 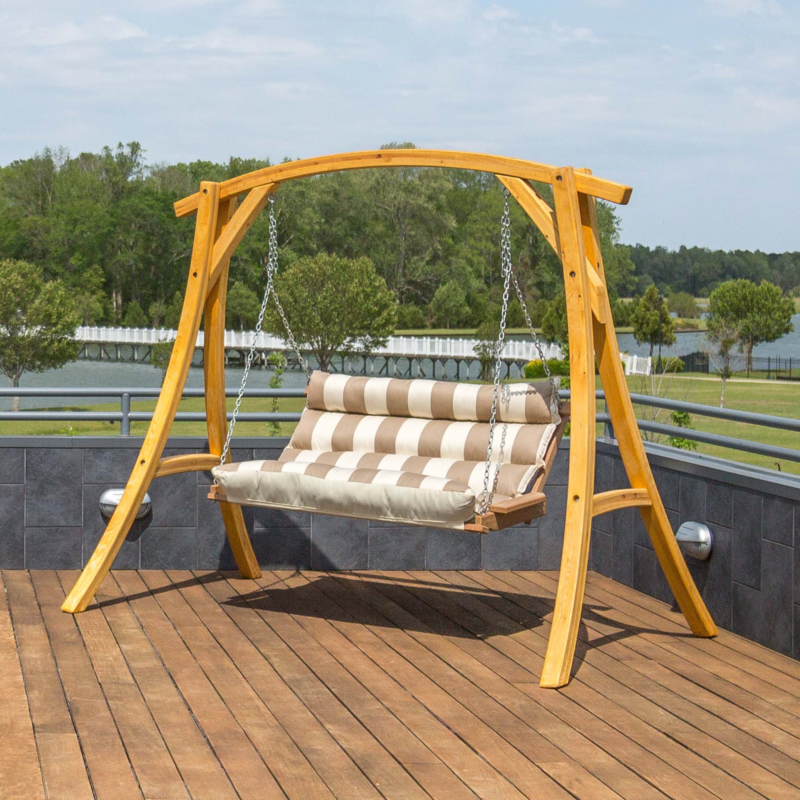 Whether you choose a single or double swing, you will be captivated by the expansive comfort from the single piece of suspended backyard bliss. 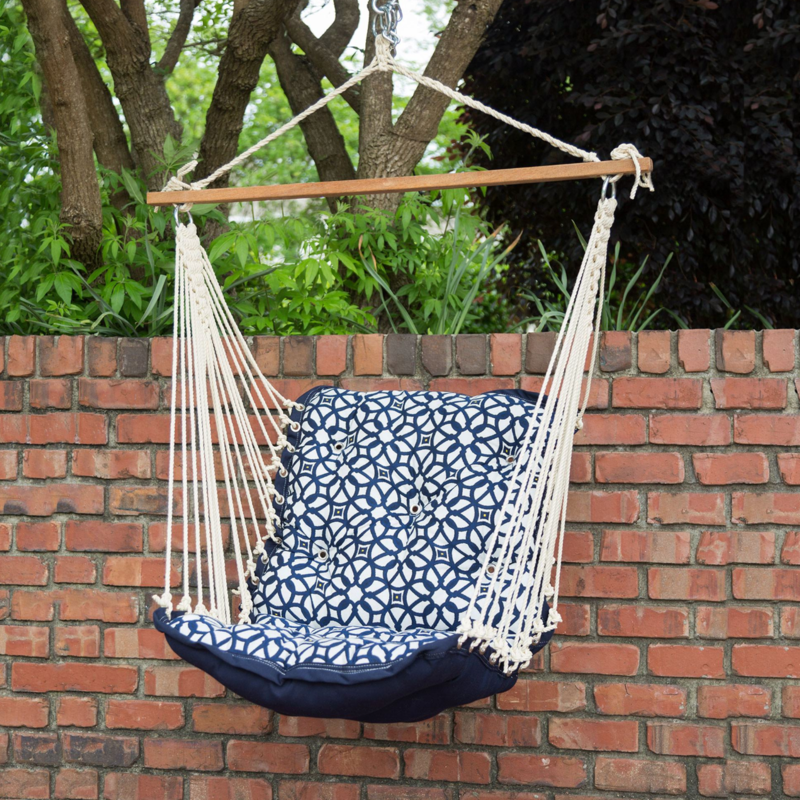 The swing is constructed of two layers of solution-dyed Dura-Cord fabric with padding of recycled polyester hollowfill fiber. 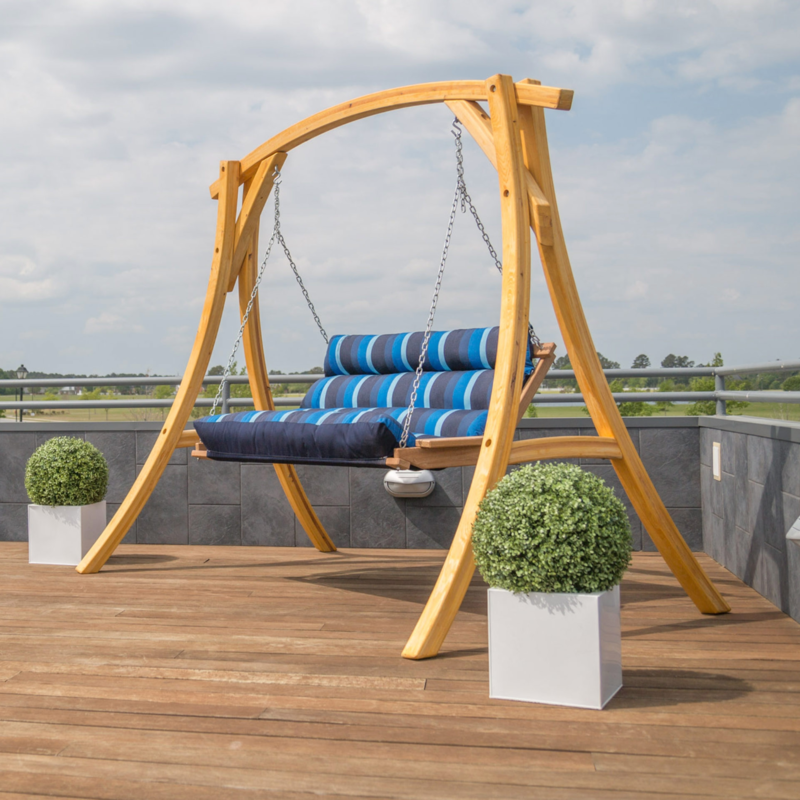 The steam curved swing arms and frame are made from Southern white oak that is repeatedly hand-dipped in marine-grade spar varnish, honing the wood’s inherent sumptuous honey-gold glow. All chains and hardware are zinc-plated. The overstuffed cushion will lift you just above the stressful work-a-day world.